Welcome back to another edition of Point Blank Student Success. This month we spoke to the Argentinian artist Joan Retamero about his release of Paul Oakenfold’s Perfecto Records, psypad about playing the massive Glavclub in Moscow and enigmatic DJ Ø about her collective 000011010. We compile these every month showcasing just a small fraction of the successes of our students from all of our schools at any of our locations: London, Los Angeles, Ibiza, Mumbai and Online. ØTTA is a techno DJ on the rise, with a moody aesthetic and merciless style her mixes are the stuff of delicious nightmares. Her background in classical music gives her a unique grasp of mood and tension and her collective, 000011010, founded with another Point Blank student Pre-Silent is starting to make waves too, expect to see more of her and her gang across the UK capital in the coming months. Could you tell me how you discovered Point Blank? 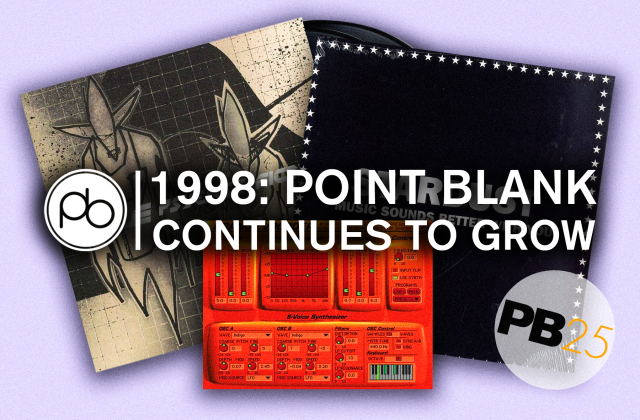 When I first moved to London I went out with some friends and, as I really didn’t want to leave, I decided to go to speak with the DJ and Point Blank came up in conversation. What was your experience with music before you studied with us? When I was a kid my dad used to listen to classical music in the living room, you couldn’t really escape it. I used to call it the classical weekend raves. It was a place where I felt safe, pure and genuinely happy. I was part of the school chorus too and one day the maestro came to me and asked me to play the classic viola. I didn’t even know the difference between a violin and a classic viola but I ended up playing in his orchestra for 6 years. Are there any things you learned with us that really stick in the memory? I remember someone asking “how do I know if I can play this track with another track” and my teacher Nigel would just say: “you don’t, use your ear”. At the end of the day, your ear is your instrument. You’re a member of the 000011010 collective – What can you tell us about it? What’s the connection with binary code? When myself and Pre Silent founded the collective we promised to each other we would never reveal what is behind the 000011010 code. As a project, it intends to explore and promote music but also to offer an extra-sensorial experience. Ultimately it’s is a space of expression where music is combined with other arts such as visual art, sculpture and philosophy. We’re are organising a party on 19th of October at Redon we’ve got these amazing installations. Your music comes at least in part from the study of classical music, how does that permeate your work as a techno artist do you think? I feel very lucky to have a classical music background, your ear is completely different and it allows you to listen and interpret/reinterpret music in a much more enriching and intriguing way. It made me also have a better understanding of the basic musical elements. Would you recommend us to a friend? If so, why? 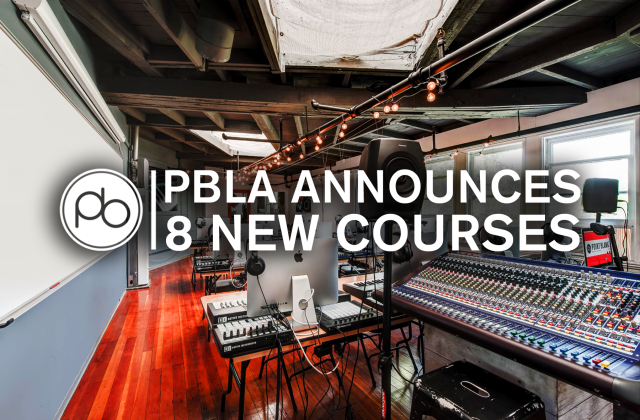 I would definitely recommend PB to a friend, I not only learned a lot with the school but I also had the chance to meet a lot of interesting people and made me able to discuss loads of ideas. Even if someone doesn’t want to study, I would still recommend it to attend to some of the events. I remember one time I went to this talk with a guy that was able to link sound with the movements of his body. It was sick! psypad is a producer and live performer from Moscow. His releases on NØICE RECORDS are out on all major platforms and he has produced for multimedia projects as well. I was a long time viewer of Point Blank on YouTube, so after graduating from university I decided to study here IRL. What was your experience with music like before that? I have a classical music education – studied piano for seven years. By the time I got to Point Blank, I also had spent some time producing electronic music. I had released on iTunes and also made some music for ads. What would you say was the biggest thing you took from your studies? I’ve got a system for all my previous knowledge – now I know for sure what I should do at any given time while producing. I also picked up a lot of bits of knowledge here and there – crucial, but too small to remember the names of. Can you tell us a bit about your live show, it looks super impressive in the video playing at Glavclub. I was warming the crowd up before Zhu’s performance. We were developing this show for a couple of months before the performance and it turned out really well. My favourite part is the circle of light around me and my rig. What else is in store for you in the coming months? Any gigs or releases we should know about? Follow psypad on Facebook and Soundcloud. Joan Retamero is a producer and Dj hailing from Rosario, Argentina. Already established in in his native country, he decided to move to London a couple of years ago and has been busy working his way into some the most iconic circles in the capital. Big things are coming. I discovered Point Blank thanks to a really close friend of mine! Thanks to some unexpected achievements I wanted to give professional study a go and he really recommended it. I started guitar lessons in 2008 but I was really busy with school so it was 2014 when I decided to start a music production course in Rosario that I really got going. I started producing my first tracks and I found a lot of inspiration to start producing tracks faster and faster. One of the best things from my studies was the possibility to count on the advice from my teachers, people that are really into the music industry and have a lot of experience. Also the possibility to produce music with really nice gear. Can´t explain how much I enjoyed to use the UAD plugins in the studio! So how did you come to get signed with Perfecto? I got the opportunity to play at Ministry Of Sound and Paul Oakenfold was headlining the event. So, I took my USB with some released and unreleased tracks and went to the venue. I was desperate to get into the VIP and give Paul my USB. I bothered every security guard in the place and one of the guys lets me in When I got in a guy appeared to say hi and it turned out to be Paul´s manager. So I gave him my music and he really liked it. What else is in store for you in the coming months? Any gigs or shows we should know about? Well, my first EP on Perfecto is out now and we have a lot of new music coming. I’ve got my debut at ADE coming up too. Follow Joan on Facebook and Soundcloud. Successes such as these are common among our students and alumni. We can teach you how to DJ like the best of them at any of our schools. If you’d like to learn how to produce, then we can build your skills from the ground up with our range of degree programmes, including the latest addition, the BA (Hons) in Music Production and DJ Practice. All of our degree programmes are quality assured by Middlesex University, including our online BA (Hons) course. For more information, you can contact us here.